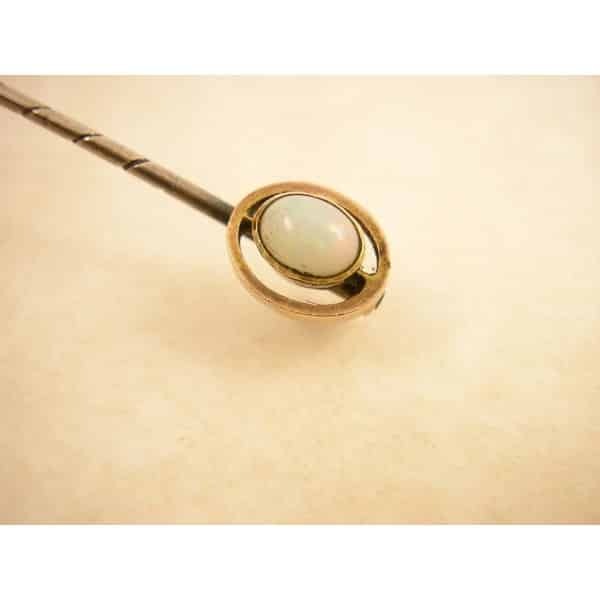 ANTIQUE 9CT GOLD & OPAL STICK TIE PIN – Opal top, C.1900. 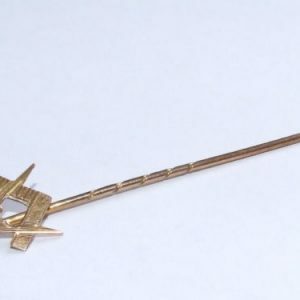 This is a lovely 9ct gold stick/tie pin with an openwork mounted Opal top, C.1900. 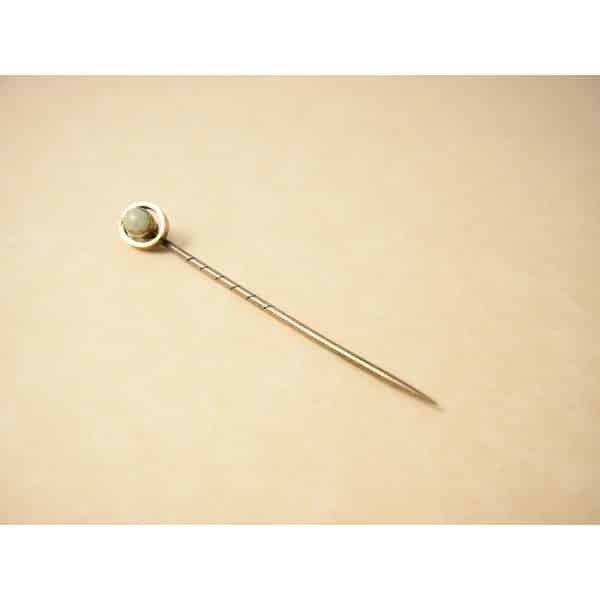 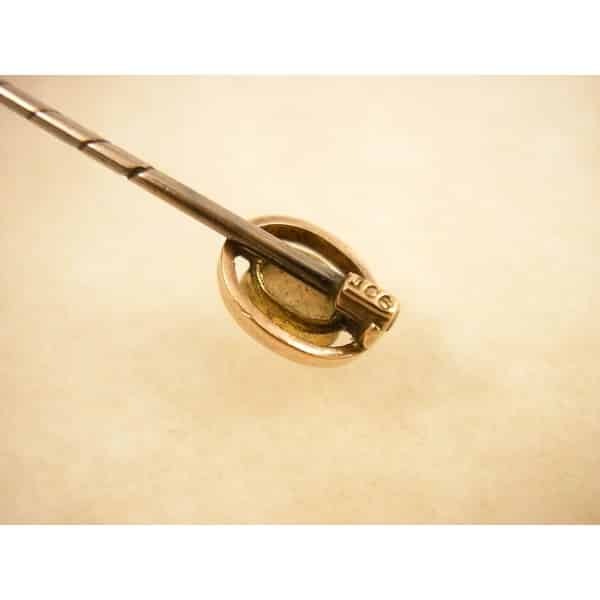 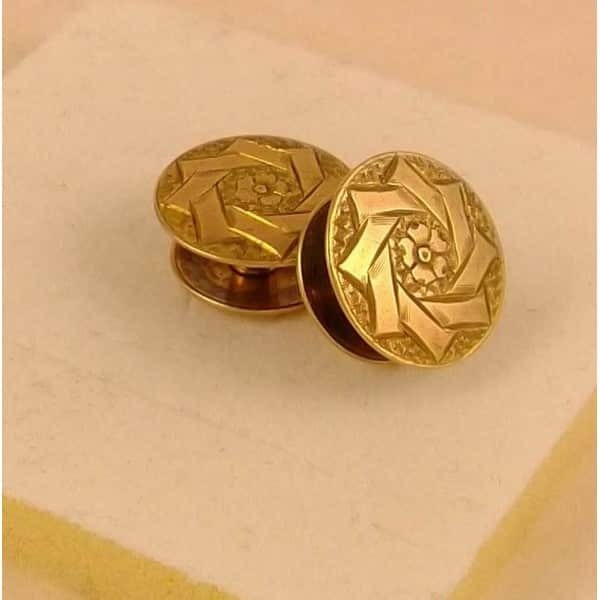 The pin is 57mm long, the top measures 8mm x 7mm. 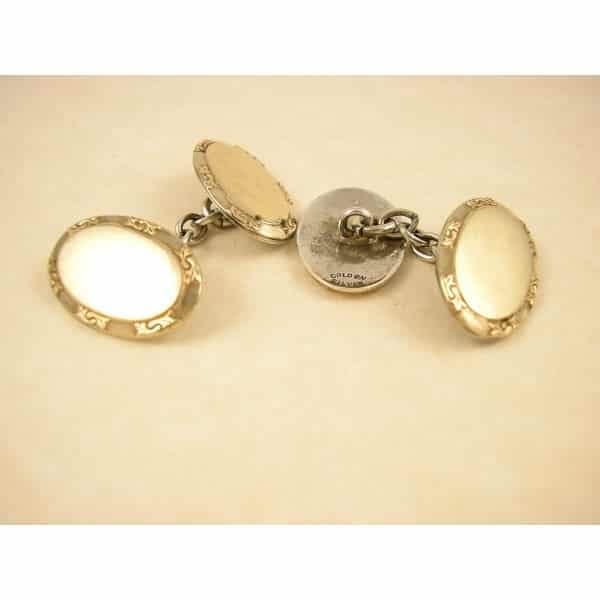 The top is marked 9ct.